Five years after ruling against the wearing of headscarves by female football players, the sport’s world governing body FIFA has taken initial steps to lift the hijab ban. In March 2012, the International Football Association Board (FIFA’s rule-making arm), voted unanimously to allow the testing of specially designed head coverings for the next four months. While this is cause for celebration, the ban should never have been imposed in the first place. Ostensibly, it was about safety, with FIFA concerned that pins used to hold the scarves in place posed a hazard to the players. Not everyone accepted that safety was the reason for the ban, with some suggesting that it was part of a rising global tide of anti-Muslim sentiment. As I explained to a colleague at ABC Radio Australia, my initial reaction to the ban was to wonder exactly how my pin-free headscarf posed a safety threat to me or anyone else, whether on a football field or in a swimming pool. How was it possible, I wondered, that FIFA didn’t know about the existence of headscarves specifically for sport? If the custodians of the world game were truly concerned about whether the headscarves posed a safety hazard, all FIFA had to do was put the words “sports” and “hijab” into a search engine, or ask one of the thousands of women who play sports with a headscarf week in, week out. 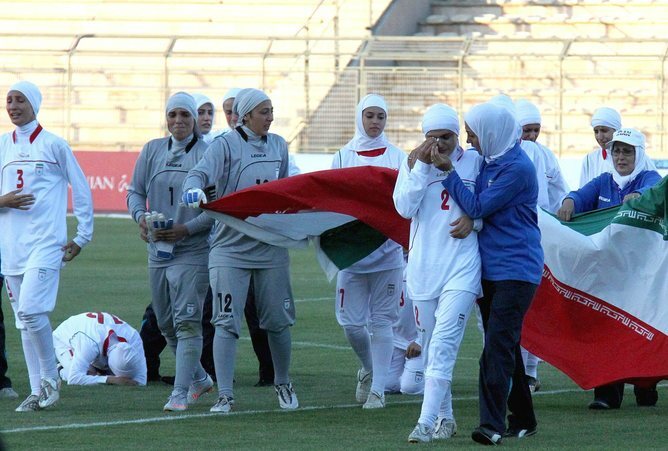 The impact of the ban was particularly vicious for Iran’s national women’s team, who were left crying on a football pitch in the Jordanian capital Amman after a Bahraini FIFA official would not let them play in an Olympic qualifier against their hosts. Their punishment for refusing to take off their scarves in order to play in the match was the penalty of a win being recorded for their opponents, Jordan, and the crushing of their hopes of qualifying for the London Olympic Games this year. Three members of the Jordanian team were also affected, having to leave the ground because they too did not want to take off their headscarves. When its women’s team was penalised in that match against Jordan last year, an Iranian official said the headscarf ban effectively meant the end of female participation in the sport, in Iran. I was born in Jakarta – the crowded, sprawling metropolis of the world’s largest Muslim majority country. It’s a place where obsession with football crosses gender lines, where fans have an almost psychotic football rivalry with neighbouring Malaysia, and where – unbelievably – the 90,000-seat Gelora Bung Karno sells out for a match featuring the national youth team. To ban women from attending football matches in Indonesia would be unfathomable. The different rights afforded a woman in Indonesia and Iran show the disparity in how Muslim majority countries treat women and sport. In Indonesia and most Muslim majority countries the headscarf is a personal choice. Iran is one of two Muslim majority countries which specifically legislate the clothing worn by women. The other is Saudi Arabia, where laws don’t permit women to either play or watch football, or indeed most sports). On one hand, Iranian laws on women’s clothing and FIFA’s headscarf ban are both examples of how decisions made by men have had very real consequences for women. But it was also men who lead the campaign to have the ban lifted, both Muslim and non-Muslim. Jordanian prince and FIFA vice president Ali bin Al Hussein argued that the ban amounted to prejudice, while English Premier League players voiced objections to the ban. They included Tottenham defender and captain of New Zealand’s national team Ryan Nelsen, who said the ban was the antithesis to encouraging the involvement of women in the game. While it’s too late for Iran’s current national women’s team and the London 2012 Olympics, a final decision by the International Football Association Board on revoking the headscarf ban is expected in July. With football the most popular team sport on earth, and the numbers of players and fans particularly prevalent in Muslim majority countries in Africa, the Middle East, south Asia and southeast Asia, lifting the ban would seem to be – as Nelsen describes – a no-brainer. Political science professor Curtis Ryan says lifting the ban will “allow women to choose for themselves, rather than have FIFA choose for them”. If FIFA truly wants to promote the “world game”, it’s time for them to stop alienating the female, Muslim part of that world. The Middle East and North Africa loom large as FIFA's executive committee meets in Zurich this week against the backdrop of a call for sweeping reforms of the world soccer body that would involve investigating Qatar’s successful but controversial bid to host the 2022 World Cup, lethal violence and blatant political interference in Egyptian soccer and progress in advancing women's rights. The call for an investigation of Qatar is believed to be one recommendation in a report by FIFA’s governance committee headed by Swiss lawyer and criminology professor Mark Pieth. The committee was created last year to propose reforms in the wake of the worst corruption scandal in the world soccer body’s 108-year old history. Qatari national and FIFA vice president Mohammed Bin Hammam was last year banned for life from involvement in professional soccer on charges of bribery and corruption. Mr. Bin Hammam, who has denied the allegations and is fighting the ban, was the highest of several executives who were penalized or resigned to evade punishment. Qatar, despite the downfall of Mr. Bin Hammam, evaded investigation of its World Cup bid with the backing of FIFA president Sepp Blatter notwithstanding calls for an inquiry by a British parliamentary committee as well as the former head of the German soccer federation. Qatar, the first Middle Eastern nation to host the world’s largest sporting event, has denied allegations that it bribed members of the FIFA executive committee. The Qatari bid committee seemingly squashed charges of wrongdoing when it produced a disgruntled former employee who confessed to have forged documents leaked to the media that suggested that it had violated FIFA bid rules. Mr. Pieth’s recommendations, if adopted by the FIFA executive committee, would then have to be approved by the soccer body’s general assembly scheduled to be held in May. The recommendations also include appointing independent directors as members of the executive committee, transparency over FIFA salaries and the creation of an external judicial body to address corruption issues. They also call for the probes of the multiple FIFA scandals in the last two years, including the awarding of the world cups to Qatar as well as Russia. “We have looked closely at the way allegations regarding those World Cup host selections have been dealt with and we have not been satisfied with the level of investigation which has taken place,” former British attorney general Lord Goldsmith, a member of Mr. Pieth’s governance committee, told The Daily Mail. FIFA’s tarnished credibility is similarly on the line with the blatant interference of Egypt’s military rulers in the dealings of the Egyptian Football Association (EFA) following last month’s lethal clash in a stadium in the Suez Canal city of Port Suez that left 74 people dead, mostly militant supporters of crowned Cairo club Al Ahly SC. The Egyptian government has dismissed Mr. Blatter’s denunciation of its dismissal of the EFA board that had been appointed by the regime of ousted President Hosni Mubarak. The dismissal added insult to injury in the face of the world soccer body’s by and large long-standing refusal to fight political interference in Egypt and elsewhere in the Middle East and North Africa. Indeed, the government went beyond replacing the EFA board to dictating to its newly appointed protégés the penalties to be meted out to Al Ahly and Port Said’s Al Masri SC for the clash that many believe was pre-planned and designed to punish militant, highly-politicized soccer fans for their key role in the mass protests that ousted Mr. Mubarak and their opposition to his military successors. The EFA banned Al Masri from playing in Egypt’s premier league for two seasons, one of which was cancelled as a result of the Port Said incident, and closed the city’s stadium for three years. The soccer body further instructed Al Ahly to play four matches behind closed doors and suspended the club’s Portuguese coach Manuel Jose as well as midfielder Hossam Ghaly for an equal number of games in a decision that in close coordination with Egypt’s military rulers failed to address the underlying causes of the soccer violence and satisfied no one. Al Ahly said it would appeal the measures to FIFA and the Lausanne-based Court of Arbitration of Sport and would boycott EFA competitions until the rights of the victims of Port Said have been secured. Hundreds of Al Ahly supporters are camping out in front of parliament in Cairo in support of their demand for swift justice for the perpetrators of Port Said. Egypt’s attorney has charged 75 people, including nine security officials, in connection with the incident. Al Ahly fans noted that the security personnel appeared to be getting off lightly with charges of negligence while Al Masri supporters were the ones largely accused of murder. 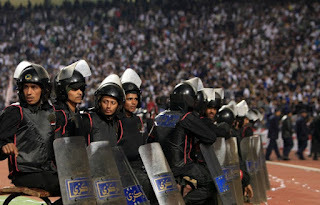 The government’s approach as well as the EFA ruling reflect a refusal to address the deep-seated animosity between security forces and militant soccer fans stemming from years of almost weekly clashes in Egyptian stadiums as well as the growing frustration among youth groups and soccer fans who were at the core of last year’s popular revolt that they are being marginalized while the aims of their uprising are being shunted aside in favour of vested interests. Like in the case of Port Said, FIFA looked the other way as Egyptian soccer was increasingly politicized by the Mubarak regime and did little to halt its control of the EFA as well as of premier league clubs. On a positive note, FIFA earlier this month backed a decision by the International Football Association Board (IFAB) to allow observant women Muslim players to wear a headdress that meets the requirements of their faith as well as safety and security standards. The campaign, spearheaded by FIFA vice president Prince Ali Bin Al Hussein, a half-brother of Jordanian King Abdullah, marks one of several recent advances in securing women’s right to professional sports. Apparently successful pressure by the International Olympic Committee on Saudi Arabia to field for the first time women athletes at this year’s Olympic Games in London raises questions about FIFA’s failure so far to do the same with regard to women’s right to play soccer in the kingdom. International human rights group Human Rights Watch last month accused Saudi Arabia of kowtowing to assertions by the country's powerful conservative Muslim clerics that female sports constitute "steps of the devil" that will encourage immorality and reduce women's chances of meeting the requirements for marriage. In defiance of obstacles to their right to engage in sports, women have in recent years quietly been establishing soccer and other sports teams using extensions of hospitals and health clubs as their base. The Human Rights Watch accusation followed Saudi Arabia backtracking on a plan to build its first stadium especially designed to allow women who are barred from attending soccer matches because of the kingdom’s strict public gender segregation to watch games. The planned stadium was supposed to open in 2014. It also comes as the kingdom is drafting a national sports plan – for men only. If either Israel or the US were to attack Iran, the Islamic republic's response could well involve Iranian strikes against Gulf states, including Saudi Arabia, Senior fellow at Nanyang Technological University's S. Rajaratnam School of International Studies, James M. Dorsey told Trend. "Iran has threatened in the past to block the Strait of Hormuz but has refrained from doing so in a bid not to escalate tension and to avoid a military response," Dorsey added. Earlier, U.S. President Barack Obama, speaking at the Nuclear Security Summit in Seoul, warned North Korea and Iran that their options are few and their friends fewer as those nations refuse to back down from actions the world sees as menacing. Israel accuses Iran of seeking to build nuclear weapons and hasn't ruled out a military strike to head off further development. Iran, in turn, denies it is trying to develop nuclear weapons, and insists its nuclear program is meant for peaceful uses such as generating electricity. Speaking about Iran's response towards Saudi Arabia's increasing oil exports, the expert said the countries may see their relationship deteriorated further. "Iran and Saudi Arabia are already at loggerheads, and Islamic Republic's response will be in the larger context of its response to the sanctions and will depend on how the dispute evolves," Dorsey said. "Iran's response for example will be different if pressure is limited to sanctions rather than military action". Asked whether Iran's rapid militarization is connected with the fact that the U.S. has a lot of military bases in the region, Dorsey admitted there are other important factors to consider as well, aside from U.S. military bases. "The bases are all but one factor. What is more important is the sense of being under threat by both the U.S. and Israel, anti-Iranian attitudes in the Gulf," Dorsey said. "Iran will also suffer a setback with the eventual fall of the Assad regime in Syria". Little did Vodafone’s Egypt unit know what it was bargaining for when it inked a three-year $9 million sponsorship deal with Al Ahly SC, Egypt and Africa’s most crowned soccer club, whose militant supporters were in the forefront of the popular uprising that toppled president Hosni Mubarak and have since spearheaded opposition to his military successors. What was designed as a marketing and public relations ploy to exploit the telecommunications provider’s association with an institution that evokes deep-seated emotions has instead landed Vodafone in hot water with Egyptian soccer fans as well as the European parliament. Adding insult to injury, Vodafone Egypt lost its chance to buy back some of its evaporated goodwill among soccer fans when it was outbid at the end of its sponsorship contract in late 2011 by the United Arab Emirates telecommunications company Etisalat. Vodafone’s experience has become a case study as telecom operators in the Middle East and North Africa brace themselves for an extended period of political volatility in a region stretching from the Atlantic coast of Africa to the Gulf that is being swept by popular protests. The protests have put management of the risk of political interference at the top of their agenda and could call into question concessions that Blackberry made in 2009 when it bowed to pressure initially from the UAE and Saudi Arabia to surrender the codes for its secure instant messenger. 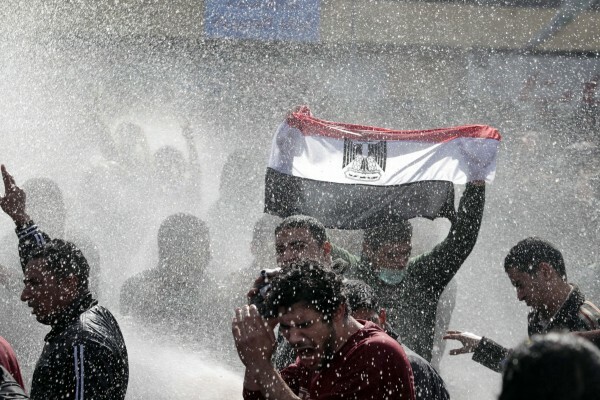 Vodafone’s major risk concern was prior to the anti-Mubarak protests ensuring the safety of its personnel in the case of a calamity or political upheaval. Vodafone’s problems started when it agreed early last year at the peak of the protests that ousted Mr. Mubarak to first suspend services alongside all other providers, and then in contrast to others to broadcast pro-government text messages that included an announcement of the time and place of a demonstration by supporters of the embattled Egyptian leader. The demonstration took place on a day on which 20 people were killed in clashes with anti-government demonstrators on Cairo’s Tahrir Square where militant, highly politicized, street-battle hardened supporters of Al Ahly and its rival Al Zamalek SC manned the protesters’ front line. Vodafone, in which state-owned Telecom Egypt (ETEL), the country’s fixed line monopoly, has a 45 per cent stake, is feeling the impact of its collaboration with the Mubarak regime in its bottom line. “There’s still a very strong feeling of resentment and people still don’t like the role Vodafone played,” Amr Gharbeia, an activist at the Egyptian Initiative for Personal Rights in Cairo, told Bloomberg News. Mr.. Gharbeia added that Egyptians have yet to see “practical measures and reforms that guarantee this is fixed,” meaning legal safeguards against politically motivated government control. “Cutting the phones and internet meant that protesters who were being shot at could not call others and warn them about the snipers and their locations,” said a soccer fan who was at the time on Tahrir Square. Protests forced Vodafone last year to withdraw a three-minute commercial, part of an advertisement campaign with the slogan Our Power, that sought to whitewash the company’s assistance to the Mubarak regime. The commercial featured images from protest rallies on Tahrir Square, asserting that Vodafone “didn't send people to the streets, we didn't start the revolution … We only reminded Egyptians how powerful they are." It include screen shots of Facebook and Twitter messages posted by Egyptians supporting Vodafone followed by an audio recording of Mr. Mubarak's resignation. Vodafone’s acquisition of new clients has slowed in the last year to a trickle compared to the period prior to the anti-government protests. While Vodafone has seen its revenues initially go flat and since decline, France Telecom, one of its main competitors is expanding its business despite political volatility and Egypt’s economic problems. The French company agreed last month to acquire billionaire Naguib Sawiri’s stake in its Egyptian wireless operations for $2 billion. Vodafone’s woes don’t stop at Egypt’s borders. The European Parliament in a bid to ensure that European telecommunications providers are shielded from political pressures is preparing to issue a report that calls for greater scrutiny of telecommunication companies. Operators “must learn the lessons from past mistakes, such as Vodafone’s decision to give in to demands from the Egyptian authorities in the last weeks of the Mubarak regime to suspend services, to disseminate pro-government propaganda,” Bloomberg quoted the draft report as saying. Popular resentment against Vodafone and the loss of its soccer sponsorship deal has prompted the company to pre-empt the European parliament’s advice. Vodafone has launched a lobbying campaign to persuade Egypt’s first post-Mubarak parliament to adopt legislation that would curb state control and protect its investments. Vodafone is urging TeliaSonera AB and Nokia Siemens Networks to support its campaign. The company is pushing parliament to restrict control of telecommunications networks to the president and to ensure that only he has the authority to interfere and only on the basis of a Cabinet decision. The proposal is designed to prevent a repeat of last year’s situation in which Vodafone was ordered in a telephone call from the security services to cooperate with the government. Vodafone was told it could expect a visit from security if it failed to comply. “We’re lobbying very hard,” said Vodafone Egypt CEO Dowidar in a Bloomberg interview. He said that “no one in Egypt, not the previous regime, not the revolutionaries, not us, was prepared for what was happening” when the anti-Mubarak protests erupted. Demonstrators camped out on Tahrir Square for 18 days in January and February of last until Mr. Mubarak had no choice but to resign after 30 years in office. For Turkey, unlike other buyers of Iranian oil, the relationship with Iran goes far beyond oil, given their proximity, the issue of the Kurds, Turkish dependency on Iranian national gas and the fallout of potential Israeli strike against Iran, Senior fellow at Nanyang Technological University's S. Rajaratnam School of International Studies, James M. Dorsey told Trend. About two weeks ago Turkish Energy and Natural Resources Minister Taner Yildiz during his visit to Kuwait said that Turkey's dependence on Iranian oil supplies is greater than other European countries', so Turkey does not intend to give them up. Yildiz noted that Turkey continues to purchase oil and natural gas from Iran, unless alternative sources are found. "Indeed, Turkey like other countries needs to find alternative sources," Dorsey said. "I believe that the Obama administration recognizes this". "Turkey like its position on Syria has insisted that it would only act on the basis of international legitimacy, meaning a UN Security Council resolution rather than a US-led group of countries," Dorsey noted, referring to the sanctions imposed on Iran from the West. Dorsey underscored that Turkey is not the only country that takes that position and is unlikely to change it unforeseen circumstances excluded. On January 23, EU Foreign Ministers met in Belgium and approved new sanctions against Iran aimed at banning member countries from importing Iranian crude oil and carrying out transactions with Islamic Republic's central bank. Western allies accuse Tehran of pursuing military objectives in its nuclear energy program. An initially under-reported attack by militant supporters of controversial Beitar Jerusalem Football Club known for their anti-Palestinian, anti-Ashkenazi Jewish attitudes on Palestinian shoppers and workers in a Jerusalem shopping mall and the Israeli police’s failure to intervene and arrest any the attackers has outraged many Israelis and is raising questions about the moral fiber of a society that tolerates such incidents as well as a soccer club that is unashamedly racist. Police launched an investigation into the incident that was caught on security camera video only after the liberal Israeli newspaper Haaretz reported the assault and asked how Israel would have reacted if France had responded similarly to last week’s attack on a Jewish school in Toulouse in which four people, including three children, were killed. The alleged killer died in a shootout with police after an intense manhunt and a more than 30-hour siege. “Those who fail to raise their voice now over Malha will get Toulouse in Jerusalem. Sticks today, guns tomorrow,” warned Haaretz commentator Gideon Levy. “It's not hard to imagine what would have happened had hundreds of people burst into a mall in Toulouse and beat up Jews who worked there. Israel and the Jewish community would have set up a hue and cry. The president of the republic would have rushed to Toulouse, met with representatives of the Jewish community and expressed his shock and regret. Our prime minister and foreign minister would have competed with each other in expressing shock, and columnists would be fulminating about anti-Semitism raising its ugly head in Europe. Everyone would agree: Jews were beat up (again) simply for being Jewish. It's also not hard to imagine what would have happened had hundreds of Arabs stormed the Jerusalem mall, beating up Jewish workers. Dozens of rioters would have been arrested and tried. But when it comes to Beitar fans, all is forgiven, all is overlooked. No one was arrested, almost no one said anything, and even after it was made public the mall's manager was the only one to apologize to the workers, who were beaten up simply for being Arab,” Mr. Levy said. Journalist Uzi Dann noted in a separate commentary that when Paris Saint-Germain fans attacked Jews in 2006 after their team lost to Hapoel Tel Aviv French police intervened immediately and shot one of the attackers. “In properly run countries like England and Germany there is surveillance of hooligans, who are quite often extreme right-wingers, and harsh penalties are meted out for violence, including imprisonment. And of course, there is massive police presence during games,” Mr. Dann wrote. He said the mounting Beitar violence stemmed from the growing influence among the clubs fans of a group known as La Familia that is dominated by supporters of Kach, the outlawed violent and racist party that was headed by assassinated Rabbi Meir Kahane. Beitar’s management has so far failed to stymie the group’s influence. Messrs Levy and Dann’s comments followed Haaretz’s breaking of the story that some 300 Beitar Jerusalem fans had attacked Palestinians at Jerusalem’s Malha shopping mall as part of a celebration of their team’s defeat of rival Bnei Yehuda. The attack, one of the worst Israeli-Palestinian clashes in Jerusalem in recent years, came two years after the Israel Football Association replaced police in Israeli stadium with ushers in a bid to reduce potential provocations of soccer violence. The shifting of responsibility for law and order away from the stadiums did not relieve the police of its responsibilities in other public places, Haaretz noted. The incident occurred in what City University of New York scholar Dov Waxman described in an article in The Middle East Journal as an atmosphere of escalating tension between Jews and Palestinians in Israel. “Attitudes on both sides have hardened, mutual distrust has intensified, fear has increased, and political opinion has become more militant and uncompromising….Jews and Palestinians are currently on a collision course, with potentially severe consequences for their continued peaceful co-existence, as well as for stability and democracy in Israel,” Mr. Waxman wrote. The incident further highlights the failure of the Israeli Football Association (IFA), the only soccer body in the Middle East and North Africa to have launched a campaign against racism and discrimination, to rein in the Beitar fans and curb the club’s submission to its supporter’s racist attitudes. With the worst disciplinary record in Israel’s Premier League, Beitar has faced since 2005 more than 20 hearings and has received various punishments, including point deductions, fines and matches behind closed doors because of its fans’ racist behavior. Beitar is Israel’s only leading club never to have signed an Israeli Palestinian player because of fan pressure despite the fact that Palestinians are among the country’s top players. Maccabi striker Mohammed Ghadir recently put Beitar on the spot when he challenged the club to hire him despite its discriminatory hiring policies. Beitar fans shocked Israelis several years ago when they refused to observe a moment of silence for assassinated Prime Minister Yitzhak Rabin, who initiated the first peace negotiations with the Palestinians. Referring to the latest incident, Israeli police spokesman Micky Rosenfeld said the law enforcement agency had not launched an earlier investigation into the shopping mall attack because no one involved in the incident had sought medical assistance or filed a complaint about the incident in which mostly young Beitar fans unfurled a Kach flag. Beitar fans often fly the flag during soccer matches. "How can we arrest someone when there have been no complaints made? There have been no reports of injuries or that anyone was spoken to in [a racist] way. Normally, members of the public would have come forward within hours to make an official complaint. Until now, none has been made", Mr. Rosenfeld said. Witnesses said the soccer fans flooded into the shopping center, hurled racial abuse at Palestinians workers and shoppers and chanted anti-Palestinian slogans. Haaretz quoted Mohammed Yusuf, a cleaner in the mall, as describing the attack as “a mass lynching attempt." An unidentified shop owner told the paper that the soccer fans “stood on chairs and tables (in the mall’s food court) and what have you. They made a terrible noise, screamed 'death to the Arabs,' waved their scarves and sang songs at the top of their voices." A brawl erupted fans started verbally abusing and spitting at three Palestinian women, who were sitting in the food hall with their children, according to CCTV footage. Palestinian cleaners intervened in a bid to help the women, chasing fans with their broomsticks. After initially succeeding in chasing them away, the fans return to attack the cleaners. "They caught some of them and beat the hell out of them. They hurled people into shops, and smashed them against shop windows. I don't understand how none shattered into pieces. One cleaner was attacked by some 20 people, poor guy, and then they had a go at his brother who works in a nearby pizza shop and came to his rescue," bakery owner Yair told Haaretz. Jewish shop owners refused demands by the fans that they give them knives and sticks with which they could attack the Palestinians. By the same token, no one in the mall intervened to stop the attack. The mall’s security chief, whose men were outnumbered by the fans, called police who arrived only 40 minutes after the attack started. Police evacuated the mall but did not intervene further or arrest any of the culprits. Malha executive director Gideon Avrahami was the only senior official or executive to apologize to the workers. In a statement, Beitar Jerusalem said that the club "firmly condemns violence and leaves it to the treatment of the authorities." Beitar went however on to say that “the incident at the mall has nothing to do with Beitar Jerusalem... Apparently the fistfight started because of an argument between a fan and a worker. This is not about racist violence." Commentator Levy warned that the problem was one of Beitar’s attitude and mentality. “This was not a rare, one-off event, of course. The Beitar entourage strikes again. It starts with their racist and ultranationalist chants and songs, continues to hitting and will end in murders. One of the young rioters boasted the following day (to my informant's daughter) about what he and his friends had done the previous evening. Apparently anti-Arab violence is a source of cheer: Beitar finally won a game, you have to celebrate somehow. It's easy to imagine what would have happened had they lost,” he said. An Israeli member of parliament called on the eve of the latest Beitar incident Israeli soccer fan for putting violent soccer fans under administrative detention, the legal holdover from British rule largely employed to detain Palestinians for reasons of security for indefinite periods of time without being charged. Hanoi (dpa) - On the eve of one of the most important matches of their career, the Syrian football team are putting personal worries aside as they prepare to clear the Olympic play-offs in Vietnam. Having secured second place in the group stages, the team face Oman on Sunday and Uzbekistan on Thursday in the last hurdle of the Asian qualifiers. The winner will go on to head-to-head with Senegal in Coventry, England in April for a place at the 2012 Olympic Games. As members of the team mill around the lobby of their plush Hanoi hotel looking pensive, the situation at home could not be more different. Human rights groups say a year of clashes between troops backed by President Bashar al-Assad and rebel forces has left more than 9,100 people dead. Despite this, coach Rui Almeida says right now all the players are thinking about is football. "I have to focus my mind for the play-off. I can assure you that is all the players are thinking about too because for any sportsman it is the top of your career to be in the Olympics," he told dpa. Getting to Hanoi has been tough. Last year FIFA said the country was not safe enough to hold home games and chose Jordan as a neutral venue. A few months later Almeida, who had trained the team for a year, announced he was heading back to Portugal after his contract was not renewed. "It was a difficult time, the board (of the Syrian Football Federation) also changed during that time," he says. "There were many things at the same time. It was a difficult moment also for the country." In six weeks the team went through two Syrian coaches. Now Almeida has returned and he says despite their problems the players have to remain focused. "The players have to put their problems out of their minds. You have to be in a neutral zone about these things," he says. "Everyone has feelings, of course, but on the field there is only the match." Focusing on the task at hand is all very well, but some observers argue it is not possible to separate football and politics so easily. One well known face among anti-government protesters is former goalkeeper Abdelbasset Saroot who joined the revolution last summer. Another goalkeeper Mosab Balhous is reported to have been arrested for helping the rebels. James M Dorsey, senior fellow at the S Rajaratnam School of International Studies in Singapore, says the threat of defectors is one reason why Syria did not send anyone to the Arab Games in November last year. The government said it was boycotting the games in protest against a decision by the Arab League to suspend the country's membership. Darsey, who is also author of the blog The Turbulent World of Middle East Soccer says he thinks there was more to it. "It was never expressed in those words but certainly my sense is one reason they didn't send them there was that they didn't want any defections. Obviously they feel confident enough about this team that they won't defect." On Friday European Union foreign ministers turned up the heat on the Syrian president by extending visa bans and asset freezes to his close relatives. The move begs the question of whether international condemnation of the regime could cause problems for the team if they did win a ticket to London this summer. Coach Almeida says he is not worried. "The only organization that can make that kind of decision hasn't said anything yet and that organization is FIFA," he says. "Syria is here because FIFA allows it and it has every right to be here." Whatever happens, the players have already made a remarkable achievement by getting this far. No Syrian team has made it this far into the Olympic qualifying round since the 1970s. On the eve of their match with Oman defender Yasser Shaheen says the players are feeling confident. "It's a big honour for us and Syria to be qualified for London 2012 after this long period," he told dpa. "Of course it's now or never for us because at our age we can only qualify once." With this mantra in mind, Shaheen says the players will work hard for themselves and for the country and he feels people back at home support him. "We have a deep feeling that everyone supports us even if the stadium is empty. Deep inside we feel that everyone supports us." The battle for Egypt’s future was set to spill once again into the streets of Cairo following two days of battles between militant supporters of the embattled Al Masri SC soccer club of Port Said that sparked the closure of the city’s harbour and left one teenager dead and more than 100 people wounded. The riots in Port Said coupled with plans for protests on Sunday by militant fans of crowned Cairo club AL Ahly SC in front of the headquarters of the Egyptian Football Association (EFA) and an Al Ahly board meeting scheduled for Monday were prompted by the EFA’s controversial meting out of penalties for last month’s lethal clash between supporters of the two teams that left 74 people dead. Al Ahly spokesman Gamal Gabr denounced the EFA ruling as “an invitation for more violence. We are back to square one…Ahli fans will never accept such a weak verdict from a powerless association,” he said in an interview on soccer channel Modern Korba TV. The EFA on Friday banned Al Masri for two seasons from playing in Egypt’s premier league and closed the city’s stadium for three years. The soccer body also ordered Al Ahly to play four matches behind closed doors and suspended the club’s Portuguese coach Manuel Jose as well as midfielder Hossam Ghaly for an equal number of games in a decision that in close coordination with Egypt’s military rulers failed to address the underlying causes of the soccer violence and satisfied no one. The government’s concern about the political fallout of the Port Said incident was already evident when it last month against the will of FIFA fired the board of the EFA that had been appointed under ousted president Hosni Mubarak. FIFA is expected to discuss the issue at an executive committee meeting in Zurich later this week. Adding insult to injury, Mr. Ganzouri acknowledged that the EFA had awarded Al Masri “the minimum penalty,” adding that the club had the right to appeal the verdict. The government’s approach as well as the EFA ruling reflect a refusal to address the deep-seated animosity between security forces and militant soccer fans stemming from years of almost weekly clashes in Egyptian stadiums as well as the growing frustration among youth groups and soccer fans who were at the core of last year’s popular revolt that they are being marginalized while the aims of their uprising are being shunted aside in favour of vested interests. “The old (Mubarak) regime was very sceptic of everything organized. They tried to control the unions, they tried to control the student unions in the universities and they tried to control the political life. Suddenly they found in front of them a bunch of young people organizing themselves in football. That’s why we had so many problems. They just weren’t happy with the fact that you have 20, 25 guys who have gathered 500 people in two hours. For them, now they are speaking about football, tomorrow they will be speaking about politics and funny enough, for us, we had no political intention at any moment. They made of us what they were afraid, repressing us when they started like fighting us, people started to hate them because we were fighting for our freedom, for what we believe we had the right to achieve and the right to establish,” Assad, one of the founders of the Ultras Ahlawy, the militant Al Ahly support group, told the BBC. Supporters of Al Masri and Al Ahly alongside a growing number of soccer officials and ordinary Egyptians are convinced that last month’s lethal clash between the two rivals after a match in Port Said was provoked by the military and security forces in a bid to punish the ultras – well-organized, highly-politicized, violence-prone, street battle-hardened soccer fans groups modelled on similar organizations in Italy and Serbia – for their militant opposition to military rule since last year’s ousting of Mr. Mubarak. The belief is fuelled by circumstantial evidence. The ultras, who last year played a key role in the mass anti-government protests that forced Mr. Mubarak to resign after 30 years in office, have since emerged in repeated vicious street battles with security forces as the fiercest opponents of the military who succeeded the toppled leader with a pledge to lead the country to democracy. The preliminary results of a parliamentary investigation into the Port Said incident appeared to bear out some of the evidence that the violence had been planned by registering the involvement of unidentified thugs and lax security while also blaming the fans. Egypt’s attorney general recently charged 75 people, including nine security officials, in connection with the incident. Al Ahly fans noted that the security personnel appeared to be getting off lightly with charges of negligence while Al Masri supporters were largely accused of murder. “When you come here…you get a real sense of how football is part of all of this… You realize how football and politics are totally connected… It’s clear that this was not a case of typical fan violence. There are camera reports that the gates are welded shut and one of the first things that you see with what’s going on on the field, police are doing nothing. When I ask opinions of different people, I do get opinions from people who say that the military in their own way in some moments are almost trying to say: fine, you want us out, well then this is what it’s going to be like without us…. When you start piecing all this together, as everybody knows now, this not just violence. This was much more complicated,” said Egypt’s American national coach Bob Bradley in a BBC interview. Speaking in a separate BBC interview, a fan of Al Ahly which traces its history as an opposition force to its founding more than a century ago as a meeting point for opponents of British colonial rule, vividly described scenes during the clash in Port Said stadium that fuel the belief that the lethal violence was not spontaneous. “After the final whistle the fans started to storm the grounds…We were so surprised that the gates were locked, so we find ourselves like say 800 people all stuck inside this tunnel, 60 square meters. We started to fall down on each other, there were like five levels of people all on each other…All you could see was half of a human. You could see just the upper part, you could see the head and the body is buried under other bodies. You could see the hand, just one hand of our friends, just trying to say help or something. The cops didn’t do anything, they were just watching. The army were guarding this gate and they were just watching. They were just killing us… It wasn’t just about killing, it was about humiliating. When you see someone with two broken legs and stabbed in the face just like that and stabbed in his stomach, you’re not just killing, your humiliating before killing,” the fan identified as Bima said. Supporters of Al Masri and Port Said residents feel that their team and city was set up and is being subjected to collective punishment for a battle that is not theirs. “We need to know who is provoking the rift between Port Said and Cairo,” demanded a protester in the Suez Canal city after its port was closed and ships were diverted further east. In a statement on their Facebook page, Al Masri ultras known as the Green Eagles denied that they had participated in the slaughter of mostly Al Ahly fans. “Congratulations to the Supreme Council of the Armed Forces, they succeeded in driving a wedge between the two cities. They are now watching the play they wrote…Something suspicious is happening in the Suez Canal… We withdrew once we saw suspicious things happening (in the stadium),” the statement said. Representatives of Port Said in parliament echoed the ultras’ sentiment in a joint statement with some blaming Al Ahly for provoking the incident. “We call on Egypt’s intellectuals and faithful media personnel to stand up against the tendentious campaign to drive a wedge between the residents of Port Said and Cairo and completely isolate Port Said. We fully respect Ahly’s board of directors and fans ... there will never be any hard feelings between Port Said and Ahly. The Port Said residents are leading calls for the punishment of the culprits. However, they fully reject any attempts to wipe out the name of Masry from Egyptian football. Accordingly, we will not accept any excessive sanctions that will be considered as a collective punishment for the city and the club,” the deputies said in their statement. In separate remarks Port Said deputy Akram El-Shaer said Ahly fans had incited the violence with a banner that mocked Port Said, his colleague El-Badry Farghaly warned that he expose “the corruption of Ahly’s board of directors and their chairman, Hassan Hamdy”. Mr. Hamdy attracted attention last year for an alleged conflict of interest in heading Al Ahly while at the same time occupying the posts of director of advertisement at Al Alhram, the most important state-owned print publication under Mr. Mubarak, and chair of the EFA’s sponsorship committee. Military police were last year to have seized documents that Mr. Hamdy and then Al Ahram editor-in-chief Osama Saraya had allegedly attempted to smuggle out of the editor's office. Prosecutors were investigating the documents to verify employees' suspicion that they contained evidence of corruption. In a further blow to the city, Port Said’s port was shut down Saturday after stone-throwing protesters clashed with police near the Suez Canal Authority building and demonstrators forced the closure of factories by blocking roads leading into the city. A 13-year old was killed and at least 100 people wounded in the clashes. While Al Masri supporters have taken to the streets to protest what they see as their club and city being scapegoated, Al Ahly is preparing to take the EFA, the security forces and the military to task for what it sees as a far too lenient treatment of the Suez Canal city’s club and the security forces. Ultras Ahlawy, warned in a statement that their patience with the government and the EFA meting out justice was running out and said they would start a sit-in in front of the EFA headquarters on Sunday. “If our silence led some people to think that we are weak … then the following words are directed to them. From now on, we will be out of our mind. You can call us thugs, you can call us crazy, but we will be crazy to regain our rights, either through legal avenues or with our bare hands. We are ready to die for our rights; we are ready to add to the toll of 74 deaths,” the group said. It demanded a swift trial for the Port said culprits, the relegation and suspension of sports activities of Al Masri for a period of three years, and resumption of the premier league once the rights of the victims of the clash had been secured. Al Ahly’s board said it would meet on Monday in emergency session “to discuss the EFA’s decisions and take the appropriate measures which would preserve the rights of the club and their fans”. 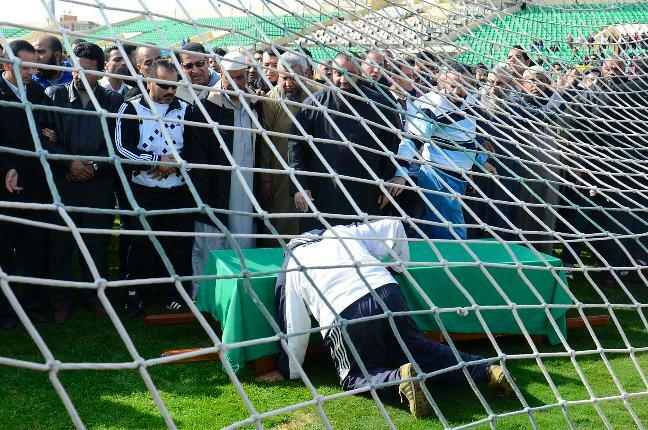 The Egyptian Football Association (EFA) is struggling with how to penalize the Suez Canal town of Port Said’s soccer team Al Masri SC for a clash six weeks ago with supporters of crowned Cairo club Al Ahly SC in which 74 fans were killed in the worst incident in Egyptian sporting history. The EFA’s dilemma is not simply one of satisfying demands for justice by Ultras Ahlawy, the militant Ahly support group, which suffered the greatest loss of life without provoking die hard Al Masri supporters but also goes to the heart of what really happened in Port Said. Egyptian prime minister Kamel El-Ganzouri cautioned that Al Masri's punishment “should neither be lenient nor excessive," according to Egyptian media. The EFA's dilemma is compounded by the fact that it is being managed by caretakers after the board appointed by ousted President Hosni Mubarak was summarily dismissed by the government immediately after the Port Said clash. 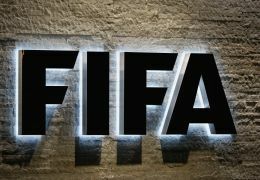 FIFA's executive committee is expected to discuss the Port Said situation at the end of this month. The EFA’s options include ordering Al Masri to play many of its home games behind closed doors or in a different city to demoting them to a lower division. The club could also be banned from playing for one year. The government's willingness to risk condemnation by world soccer body FIFA for politically interfering in soccer affairs with its dismissal of the EFA's board and Mr. El-Ganzouri's advice underlines the political sensitivity of the decision facing the Egyptian association. The government fears that if not properly balanced, the EFA's decision could spark new confrontations with the street-battled hardened soccer fans that played a key role last year in ousting Mr. Mubarak and have since emerged as the ruling military's most militant opponents. Both the government and parliament are investigating the incident for which 75 people, including nine security officials, were last week charged with murder or negligence. 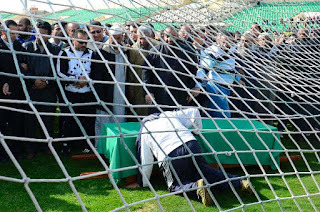 The EFA cancelled this season’s premier league shortly after the Port Said incident. The ultras of Al Ahly and its Cairo arch rival Al Zamalek SC accuse the government and security forces of having at the very least enabled if not encouraged the clash in the Port Said stadium after a match between Al Masri SC and Al Ahly to punish the Cairo ultras for emerging as the most militant opponents to military rule. Preliminary results of a parliamentary investigation of the Port Said incident blamed fans and lax security for the incident and suggested that unidentified thugs had been involved in the violence, fuelling reports that the violence had been planned rather than spontaneous. The circumstantial evidence that Al Masri fans may not have instigated the incident, including messages on twitter in advance of the game, the failure of the security forces to intervene when the clash got out of hand and unconfirmed reports that military vehicles escorted the thugs to the stadium complicates the penalizing of Al Masri. Some ultras believe that the clash and the suspension of the league in soccer-crazy Egypt was designed to further isolate the ultras and youth groups that have lost popularity in recent months in a country that has become protest weary and yearns for a return to normalcy and economic growth. Anti-government protests and violent clashes with security forces stand in the way of focusing on the economy. “We call on Egypt’s intellectuals and faithful media personnel to stand up against the tendentious campaign to drive a wedge between the residents of Port Said and Cairo and completely isolate Port Said...The Port Said residents are leading calls for the punishment of the culprits. However, they fully reject any attempts to wipe out the name of Masry from Egyptian football. Accordingly, we will not accept any excessive sanctions that will be considered as a collective punishment for the city and the club,” Port Said 's six parliamentary representatives said in a joint statement. The hostility between Masri and Ahly remained however just below the surface. One of the deputies, Akram El-Shaer, suggested that the Cairo team had provoked the incident by raising a banner that mocked their Port Said opponent. Another signatory of the statement, El-Badry Farghaly, threatened to focus on “the corruption of Ahly’s board of directors and their chairman, Hassan Hamdy”. Mr. Hamdy is believed to have been last year under investigation of corruption because of his apparent conflict of interest in being head of the lucrative advertisement department of state-owned Al Ahram newspaper, the Mubarak regime's most important print media outlet as well as chairman of Egypt’s most prominent soccer club and until recently chair of the EFA’s sponsorship committee at the same time. Military police last year was reported to have seized three boxes of documents that Mr. Hamdy and then Al Ahram editor-in-chief Osama Saraya had allegedly attempted to smuggle out of the editor’s office when they were confronted by publishing house employees who suspected that the boxes contained documents that would prove the two men’s involvement in corruption. The lethal clash between the Al Masri and Al Ahli fans has deepened animosity between the two clubs. Masri fans fuelled the flames by waving flags during demonstrations since the incident on which was inscribed: "They imprisoned my family and brothers for the sake of Ahly," according to Al Ahram. Leila Zaki Chakravart, a London School of Economics scholar who spent 18 months in Port Said for research recalled in an article in Open Democracy “how the coastal Mediterranean city’s self-styled laissez faire lifestyle of almost sleepy monotony abruptly changed gear on the day each year on which the al-Masri/al-Ahly fixture was scheduled. Tension rose rapidly before the event, and a self-imposed curfew descended ensuring that only the city’s male population patronised its streets and public spaces. All cities and towns in Egypt are, to some extent, football-mad: but Port Said is a city which takes its football fervour to the extreme. Boys learn to dribble from the time they can walk, and street football games are played out as passionately as the city’s sole professional football club is supported. Even the club’s choice of name provides telling evidence of how the city’s distinctive regional brand of martial patriotism, forged during the (!956) Suez invasion and later wars with Israel, is concretely rooted in and expressed through the tribal loyalties which football brings out. Most sporting clubs name themselves after the city (or district) in which they are based: but rather than follow convention and call itself simply ‘the Port Said Sporting Club’, the chosen title is instead Nadi al-Masri (‘the Egyptian Sporting Club’ – a deliberate mirroring of al-Ahly’s similarly unconventional choice of name, which translates as ‘the National Sporting Club’),” Ms. Chakravart wrote. Saudi Crown Prince Nayef: a liberal in disguise? Saudi Crown Prince Nayef bin Abdul-Aziz Al Saud has approved plans for the ultra-conservative Muslim kingdom to send female athletes to the Olympics for the first time at the London Games in a move that counters fears that he would be a less progressive ruler than ailing King Abdullah, according to Saudi-owned Al Hayat newspaper. In doing so, Prince Nayef, the kingdom’s long-serving interior minister who is widely viewed as a conservative even by Saudi standards and is closer than the king to the country’s powerful, austere Wahhabi clergy, is bowing to pressure from the International Olympic Committee (IOC) that threatened to bar Saudi Arabia from the London games if it failed to field female athletes. King Abdullah he will prove to be more susceptible to demands of the clergy who adhere to the teachings of the 18th century puritan warrior-priester, Mohammed Abdul Wahhab to reverse the process of gradual political, economic and social reforms initiated by King Abdullah. In an illustration’s of the clergy’s conservatism, Saudi Arabia's Grand Mufti Abd al-Aziz bin Abdullah recently called for the destruction of all churches in the Arabian Peninsula. The decision by Prince Nayef is likely part of a concerted government effort to fend off a possible popular uprising in the kingdom similar to those sweeping large parts of the Middle East and North Africa by catering to youth sentiments and growing female demand for sporting opportunities. 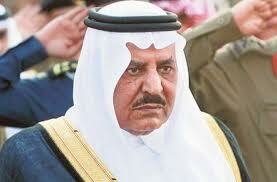 Prince Nayef earned a reputation as a hardliner most recently for his crackdown on Al Qaeda militants in the kingdom. By the same token, he oversaw a largely successful rehabilitation program that guided the return to society of former Al Qaeda operatives. Al Hayat said that Prince Nayef’s approval was conditioned on women competing in sports that "meet the standards of women's decency and don't contradict Islamic laws." It was not immediately clear which sports the crown prince had in mind. Al Hayat reported Prince Nayef’s decision a day after the IOC reported that progress had been made in negotiations with Saudi Olympic officials on sending female athletes and officials to the games. Saudi Arabia alongside Qatar and Brunei has never included women in its Olympic teams. IOC officials believe that Qatar and Brunei will also be fielding women athletes in London for the first time. “The IOC is confident that Saudi Arabia is working to include women athletes and officials at the Olympic Games in London in accordance with the international federations' rules," the IOC said. Earlier, IOC President Jacques Rogge said in an interview with The Associated Press that he was "optimistic" that Saudi Arabia would send women to London. "It depends on the possibilities of qualifications, standards of different athletes. We're still discussing the various options," Mr. Rogge said. He said a decision would be finalized within a month to six weeks, but "we are optimistic that this is going to happen." The apparent IOC success in nudging Saudi Arabia into complying with the committee’s charter contrasts starkly with world soccer body FIFA’s failure to hold the kingdom to its obligation. Saudi Arabia fields a men’s soccer team but restricts if not bans women’s soccer. FIFA’s failure to pressure Saudi Arabia also contrasts with its recent effort to ensure that observant Muslim women can play professional soccer by lifting its ban on women wearing the hijab in favour of a headdress that fulfils the cultural needs of Muslim players and meets safety and security standards. International human rights group Human Rights Watch last month accused Saudi Arabia of kowtowing to assertions by the country's powerful conservative Muslim clerics that female sports constitute "steps of the devil" that will encourage immorality and reduce women's chances of meeting the requirements for marriage. The Human Rights Watch charges contained in a report entitled “’Steps of the Devil’ came on the heels of the kingdom backtracking on a plan to build its first stadium especially designed to allow women who are currently barred from attending soccer matches because of the kingdom’s strict public gender segregation to watch games. The planned stadium was supposed to open in 2014. Saudi women despite official discouragement have in recent years increasingly been pushing the envelope at times with the support of more liberal members of the ruling Al Saud family. The kingdom's toothless Shura or Advisory Council has issued regulations for women's sports clubs, but conservative religious forces often have the final say in whether they are implemented or not. The issue of women's sport has at time sparked sharp debate with conservative clerics condemning it as corrupting and satanic and charging that it spreads decadence. Conservative clerics have warned that running and jumping can damage a woman's hymen and ruin her chances of getting married. To be fair, less conservative clerics have come out in favour of women's sports as well as less restrictions on women. In addition, the newly appointed head of the kingdom's religious vigilantes is reported to favour relaxation of the ban on the mixing of the sexes. Prince Nayef’s decision has revived hope that 18-year old equestrienne Dalma Rushdi Malhas who won a bronze medal in the 2010 Singapore Youth Olympics in which she participated at her own accord would be among the first Saudi women athletes to compete at an Olympic games. Expectations that she would be competing in London were dashed recently when the Saudis qualified an all-men team qualified for London’s jumping competition.